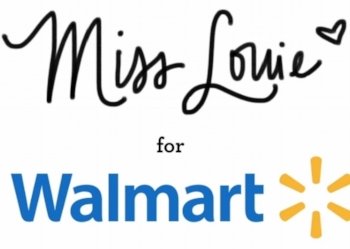 I had the privilege of working with the YouTube star and fashionista Miss Louie, also know as Erica Louie, on a collaborative video with Walmart for their Faded Glory Tank Top Collection. I learned some fun new fashion tips when working with the talented Erica. Music is all about sharing the beauty and joy that it offers with others. I had the opportunity to create the school song for Austin, Texas' Magellan International School - an International Baccalaureate World School with Primary and Middle School programs providing Spanish and Mandarin instruction. It was a challenge for me to create the song because I had to integrated Spanish, Mandarin, and English seamlessly in the lyrics that students from Kindergarten to Middle School could understand and sing. I had a lot of fun teaching and speaking with the students during my visit at the school. I was asked some very adorable questions like: "how do you get music from your head to paper," and "are you rich?" This was one of my first feature films working with very funny, talented, and forward-thinking directors and writers, Amanda Wilgus and Daniel Hayden of Broken Wind Productions. The film follows the story of a man named Fenton Hansen who finds that his life may become something extraordinary when he's recruited to join a lip-synch band. Janaye Brown is a New York-based artist who uses video technology that focus on banal situations in order to "act as catalysts for contemplation while summoning previous experience and thought." I really enjoyed collaborating with her on her "Wallpaper Series" art videos in 2013. "Mountain Fall" was a short I scored for director and writer Sean Corbin from Austin, Texas, about two amateur hikers, Alice and Dave, who accidentally take a wrong step and fall off a cliff. The two have to find a way to survive without any help, despite being gravely injured. Music doesn't come in until the end.